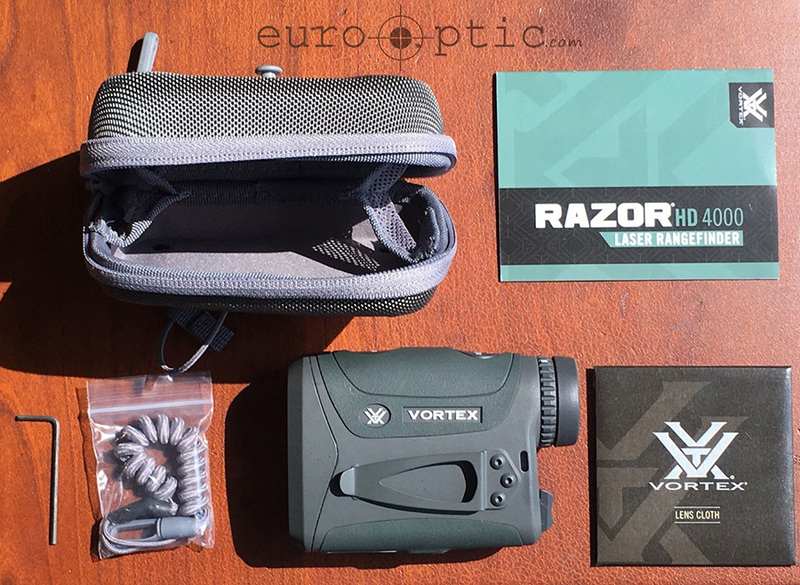 Derek gives his first impressions of the Razor HD 4000, Vortex&#39;s newest laser rangefinder. When it comes to making an electronics purchase one phrase always rings true, technology favors the patient. The laptop you bought last year has been made obsolete by one that just came out today. Electro-optics like rangefinders or specialized riflescopes are no different—in fact, laser rangefinders are one of the fastest evolving products in the shooting industry. A decade ago, a laser rangefinder capable of 3000+ yard performance would have had the same price tag as a brand new truck and would have been rarely seen outside of a military operation. Even a laser rangefinders capable of 1200 yard performance a decade ago would have come with a hefty price tag—now in 2019 however, nobody expects to pay anything more than $450 for a laser rangefinder capable of that performance. That brings us to today and what’s worth looking at without having to spend Pablo Escobar cash on a rangefinder? 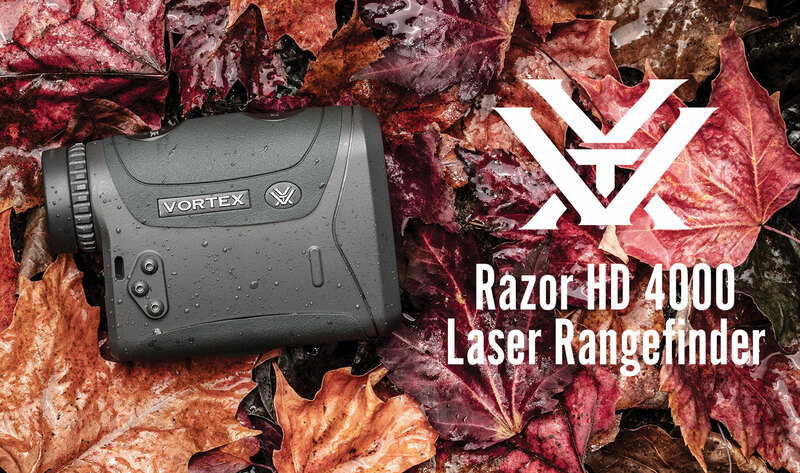 Well, Vortex Optics just dropped a brand new laser rangefinder dubbed the Razor HD 4000. The Vortex Razor HD 4000 seems to perfectly fill a void between the ultra-economical Ranger LRF 1800 Monocular and the premium Fury HD 5000 Rangefinding Binocular in Vortex's line-up of rangefinders. Retailing at $499.99, the Vortex Razor HD 4000 is a compact 7x monocular rangefinder. Vortex boasts that the Razor HD 4000 is capable of ranging reflective objects out 4000 yards, trees out to 2500, and deer sized targets out to 2200 yards. Additionally, the device will deliver measurements as close as 5 yards and angle correction of +/- 70 degrees—these two features make the Vortex Razor HD 4000 laser rangefinder strong contender for those who are interested in both archery and the shooting sports. I was not able to really put the Razor HD 4000 through its paces due to time constraints, I was able to look it over and get a good feel for the device. The configuration of the device’s controls is fairly ergonomic as you’d expect with most laser rangefinder monoculars. I was able to briefly test the ranging capabilities but due to environmental constraints the farthest reading I got was approximately 2400 yards on a reflective target, but I do suspect that the Razor HD 4000 is capable of more. Something worth noting is that the device has 1/4x20 female threading on the underside for integration with a tripod. Another neat but easily missed feature is that the battery cap has a tab that flips out and can be used to unscrew the cap—while this feature won’t be winning the engineers at Vortex a Nobel Prize, it does sure make swapping out the battery easier when you don’t have your multi-tool or are wearing gloves. The unit also comes in a rigid soft case, a wrist lanyard/ tether, and a heavy duty pocket clip. The last few years, Vortex has hit a number of home runs with the Razor scopes, Diamondback Tacticals and Viper PSTs just to name a few. I am willing to bet this Razor HD 4000 is going to be a great performer as well. 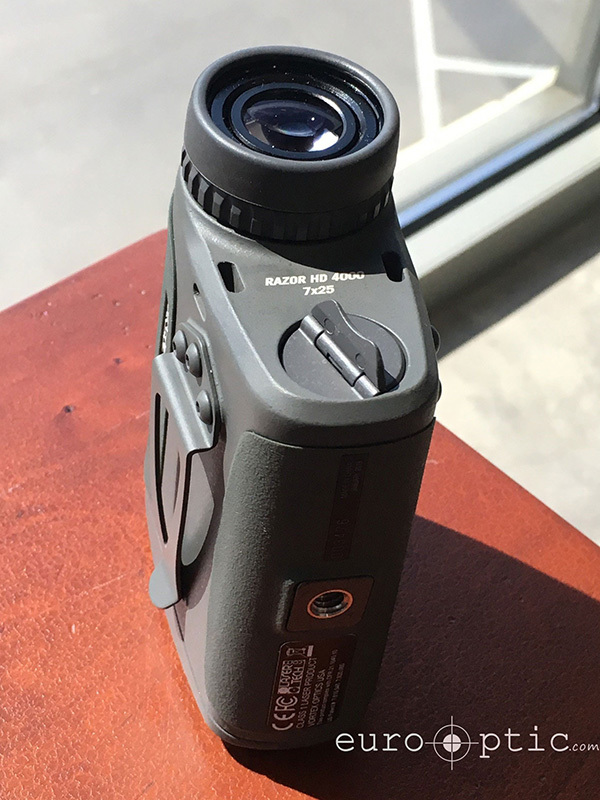 The Vortex Razor HD 4000 Laser Rangefinder is now available and will begin shipping to customers on 4/11/2019. Does it "talk" range to the Kestrel 5700ABS?? That is essentially a do-or-die requirement today for a range finder to be used in shooting over 600-1000yds. Also, what is the reticle design? To make the long ranging useful, a range finder reticle needs to be pinpoint in size. The 30MOA circle found on Sig Kilo2400 is almost useless at long range.....a shotgun feature for a very precise application. It does not have connectivity to other devices like the Kestrel, As for the reticle size, the official diagram is not out yet but measuring the space it covered on a target and doing some math got me to an interior diameter of about 15 moa. Keep an eye out for when that is released but improvised methods got me close to 15.